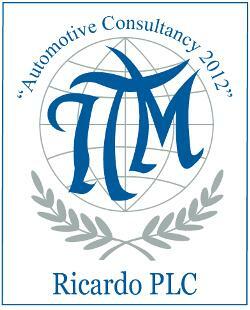 The Institute of Transport Management (ITM) has awarded Ricardo plc the title of “Automotive Consultancy 2012”. The automotive industry requires access to the services of specialist consultants to help steer its path and guide its growth, says the ITM in its award citation to Ricardo. All consultants aim to give clients a competitive advantage, by offering everything from a breakdown of the latest trends to the design of a new engine, but – the citation continues – it is those consultancies that think outside the box and provide real results for their automotive partners that rise to the top. The ITM praised Ricardo for its experienced and flexible project teams, local market knowledge, innovative technical solutions and its use of new and emerging technologies. It also mentioned Ricardo Strategic Consulting, the global management consulting subsidiary of the company, for its comprehensive portfolio of management consulting services, which aim to address high-impact strategic issues and to solve operational problems at every stage of the value chain.